While the beach towns of the Crystal Coast may get the lion’s share of attention from vacationers, Morehead City is a treasure trove of unique attractions in its own right, thanks to a vibrant scene where local history, arts, culture, and a love of the water all combine. From stunning views of the heart of the on-the-water action to historical sites or museums where centuries of artifacts are housed, there is truly a little something for every visitor in this unique coastal community. Newcomers and long-time visitors alike will want to start their Morehead City expeditions by paying a visit to these Top 10 Attractions that include both iconic destinations and lesser-known hidden gems. From long walks on the water’s edge to a night on the town, the fun is unending in this small town with a big dose of community spirit. 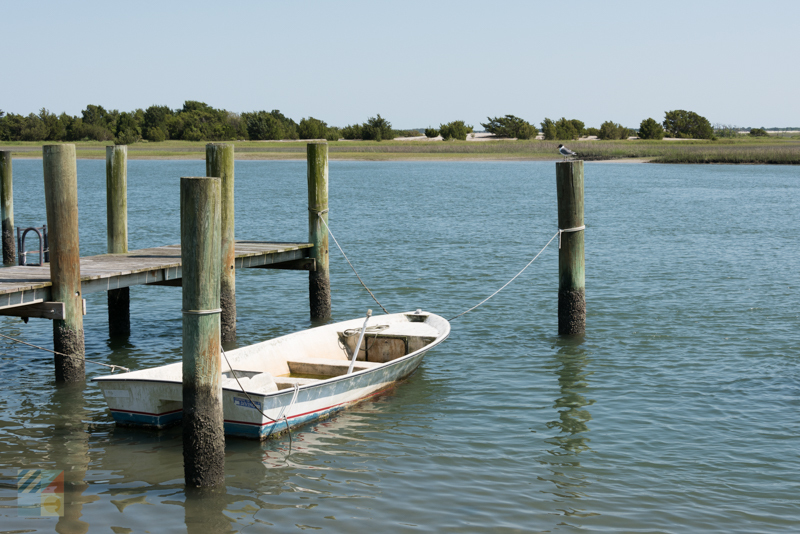 No visit to Morehead City is complete without a stroll along the Morehead City waterfront. 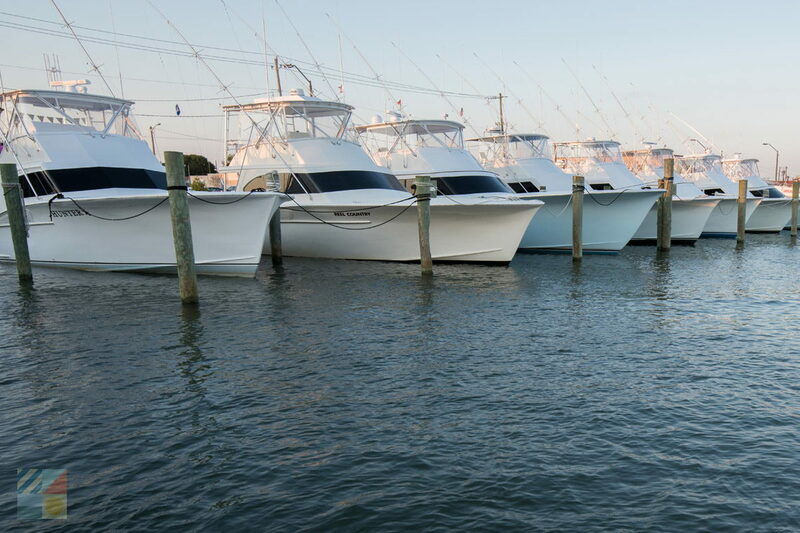 The heart of this town revolves around the water, thanks to a backbone commercial fishing industry, and the waterfront is always hopping with visiting Intracoastal Waterway travelers and commercial vessels alike easing in and out of the local docks and marinas. A stroll along Evans Street will present incredible views of the maritime traffic as well as the outlying Sugarloaf Island and Atlantic Beach shoreline, and will also introduce newcomers to the wide range of on-the-water adventures that are available in the area. The waterfront docks are home to an acclaimed diving company, a number of fishing charter businesses, and several tour boats or excursions, which makes plotting an upcoming watery adventure an easy affair. In addition, waterfront explorers will often be surprised by the sights that are found at the water’s edge, which includes a massive King Neptune sculpture, a replica of the Cape Lookout Lighthouse, and many other unexpected attractions. Regardless of the time of day or even year, strolling the waterfront is simply a must for any visitor who wants to fully experience the heart of this maritime community. 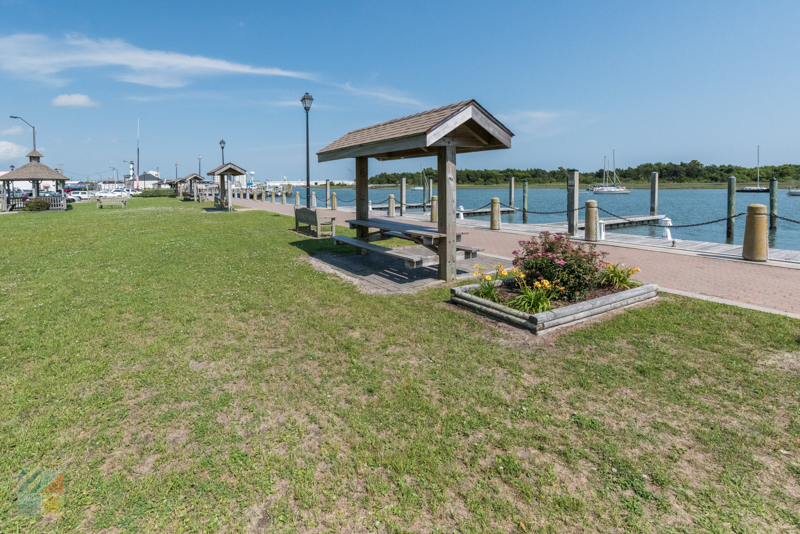 If the Morehead City waterfront is the center of the city, then the on-site Jaycee Park is the bull’s eye of both the local scenery and the local community spirit. This small, triangular-shaped public park is perched on the edge of the Harbor Channel, and though it’s roughly the size of a couple lots at most, it’s one of the most popular venues for a far-reaching range of community activities. Jaycee Park serves as the home base for the popular summer concert series, (which are held every Saturday and which are wide open to the public), as well as a number of community events including art shows, festivals, and other town-wide celebrations. 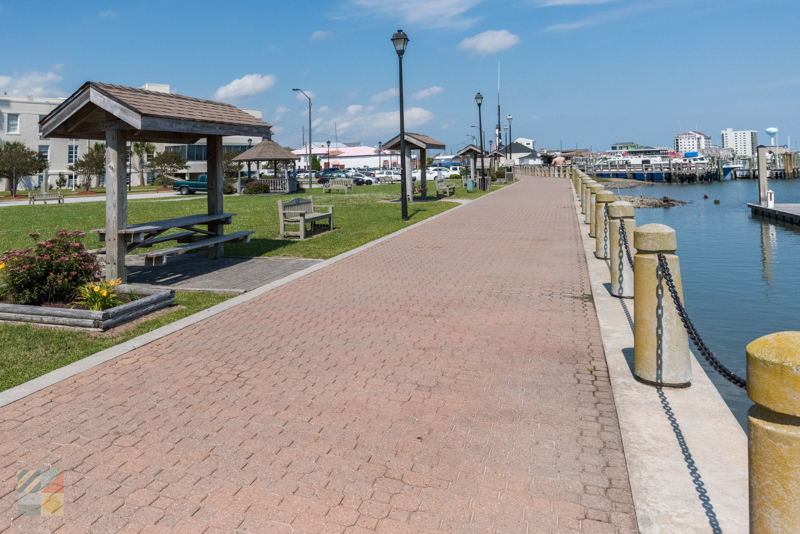 Everyday visitors can soak up this sunny atmosphere as well, thanks to a collection of shaded swings and benches that overlook a particularly active section of the adjacent waters, as well as several historical markers and displays which outline significant events in the town’s history. As a result, whether a visitor is on the hunt for a special event or just a relaxing spot to catch a sunset, the Jaycee Park is an ideal destination for on-the-water fun that’s almost overshadowed by the incredible, open water views. History Museum of Carteret County, which is also known as “The History Place,” is a fascinating museum and educational center that’s found in the heart of the downtown area along Arendell Street in a historical structure that still resembles an old train depot. Inside this distinctive building, casual explorers and dedicated researchers alike will find a wide array of exhibits and treasures which includes a research library with more than 10,000 materials, an on-site museum that outlines distinctive chapters of the region’s centuries of history, and a conference center / auditorium where regular special events and lectures are held. 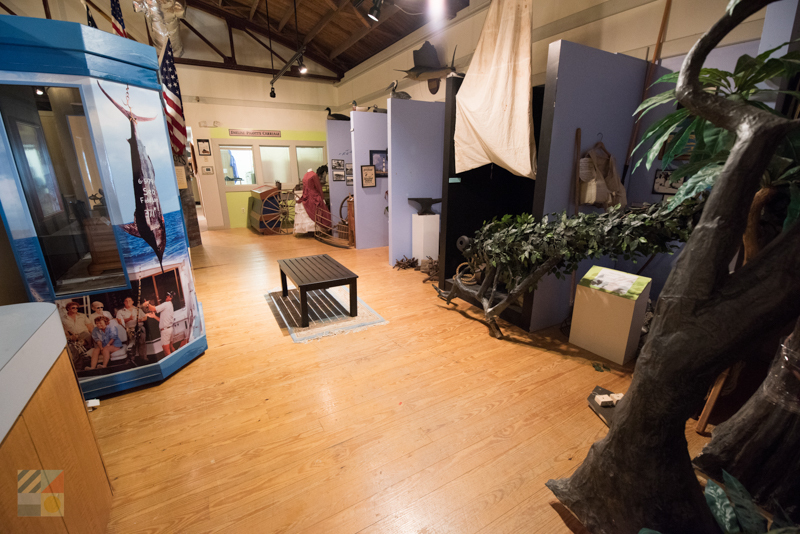 A tour through the museum serves as a perfect way to find out more about the area’s earliest roots – from the indigenous local residents to the new wave of vacationers – and serves as an all-encompassing look into how Morehead City became the thriving coastal destination that it is today. With an enticing gift shop on-site, and a series of regular guest lecturers or community-wide events, the History Museum of Carteret County is a great spot where locals and visitors alike can effortlessly combine education and fun. Morehead City is brimming with artful treasures, thanks to a collection of galleries, gift shops, and antique / vintage stores, and this creative atmosphere can be explored in detail with a visit to the Arts Council of Carteret County. Known as the spot where arts and culture meets the Crystal Coast, the Arts Council is responsible for a number of special events that are held throughout the region, as well as on-site at its unimposing location along Evans Street. The Arts Council (or ACCC) regularly hosts seasonal art exhibits on the premises which are open multiple days per week, and which showcase a new or established talent from the area, or even from around the globe. As such, it’s a nice first stop for new visitors to get their feet wet into the local arts scene, as well as learn more about the various galleries and talents which are abundant in the area. After a stop at the ACCC, visitors can (and should) extend an exploration of the Morehead City cultural landscape by stopping by one of the roughly dozen art galleries that call this town home. From beautiful coastal watercolors to eclectic sculptures and jewelry, the vibrant and diverse art scene of Morehead City will truly impress art fans of all tastes. While a number of much larger Crystal Coast reserves and national refuges seem to get all the attention, (like the Rachel Carson Reserve, the Cedar Island National Wildlife Refuge, and the Cape Lookout National Seashore), visiting wildlife enthusiasts will be delighted to find a beautiful barrier island that’s close to home in Morehead City – the unspoiled Sugarloaf Island. This small island that’s just 22 acres in size is located directly across from the Morehead City waterfront, and is a naturalist’s playground, complete with on-site restrooms, a small floating dock, a nature trail, and refreshingly nothing else. Visitors can utilize a water taxi, a personal small vessel, or a kayak to easily reach the site, and once on shore, can enjoy fantastic fishing, birdwatching, and beaching on a couple of slivers of Bogue Soundfront shoreline. 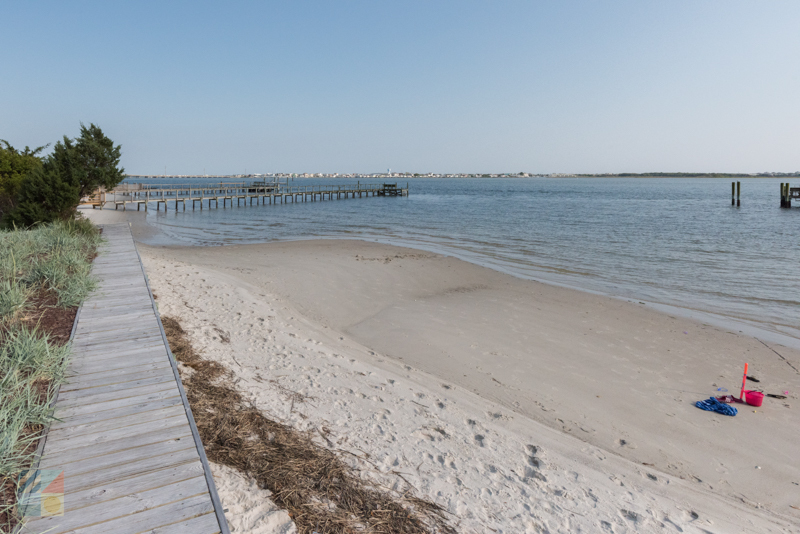 Though not as well-known as some of the other literally big natural destinations in the region, Sugarloaf Island stands out in Morehead City for its beautiful natural terrain and fantastic views in every direction. Summertime visitors can enjoy a night or afternoon out at the ballgame with a visit to Morehead City’s own minor league baseball team and stadium, the Big Rock Stadium. 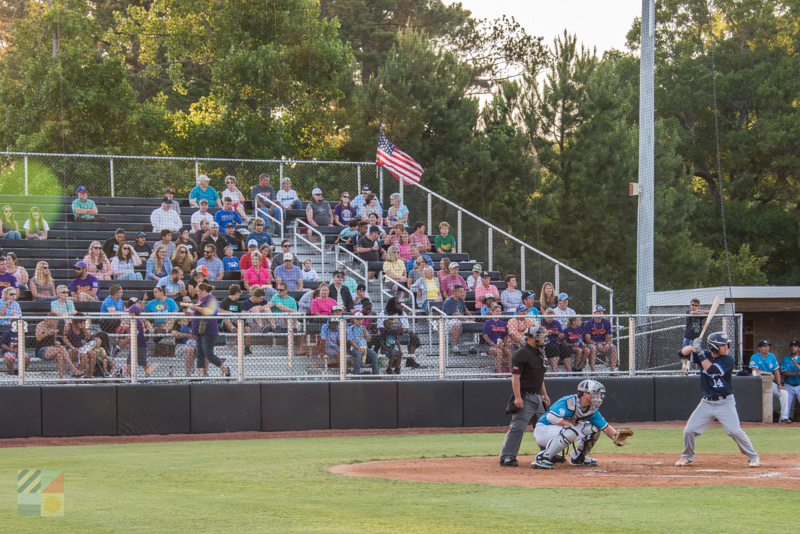 Built in the early 2000s, this venue is the regular home of the Morehead City Marlins – a collegiate summer baseball team that plays in the Coastal Plain League and which attracts big crowds for both its typically winning record, as well as its fun atmosphere. At the ballpark, visitors will enjoy modern stadium seating, plenty of concessions, and fun “theme nights” that can include special discounts for military personnel, teachers, police and EMT, and other essential community members. With a full roster of roughly 30-40 at-home games during the height of the summertime, it’s easy to add a ball game trip to any seasonal Crystal Coast vacation. 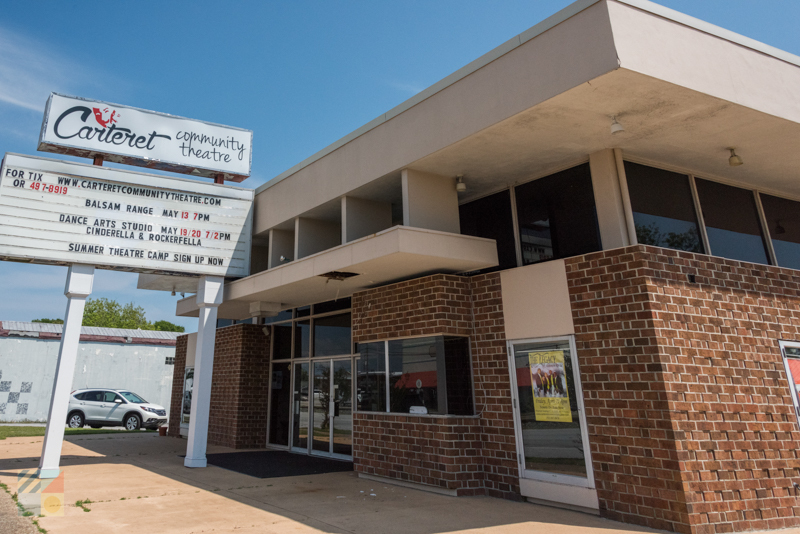 Many new visitors are surprised to find that Morehead City has such a colorful and vibrant cultural scene, and this community spirit truly comes alike at the Carteret Community Theatre in the heart of the downtown area. This popular venue serves as the host for a wide variety of shows, which includes regular visits by regional and nationally acclaimed performers, as well as productions by the local Carteret Community Theatre group. The theater is open year round and has regular performances of all varieties, ensuring that music or theater lovers of all tastes can find an upcoming performance that suits their preferences. From classic beach music groups and country music stars to fantastic productions of hit Broadway plays or musicals, every night at this intimate and yet well-equipped theater is sure to have everyone smiling. The sheer range of productions can vary widely, so visitors will want to check out the special events calendar at http://www.carteretcommunitytheatre.com/ to see what shows may coincide with an upcoming vacation. With a casual yet comfortable interior and plenty of variety, an evening out at the theater is simply a must for anyone who wants to dive into the Morehead City cultural scene. One of Morehead City’s “hidden gem” destinations isn’t found in the Downtown area or even along the town’s main route of Arendell Street. Instead, it’s tucked away few blocks away from the action along the banks of the scenic Calico Creek. The Calico Creek Boardwalk is a destination that’s traditionally visited solely by locals and visitors “in the know,” and it’s a wooden boardwalk that extends all the way from North 19th Street to roughly North 22nd Street. Virtually hovering over the water in some regions, the boardwalk is a great destination for hikers / walkers, birdwatchers, or anyone who wants a unique natural perspective of the Morehead City waterfront scene. Bordered by a handful of residential homes and not much else, and covering a swatch of water that eventually connects with the Newport River, this cool route has stunning opportunities to catch a wide range of wildlife in action, including ospreys, egrets, and even the occasional great blue heron. 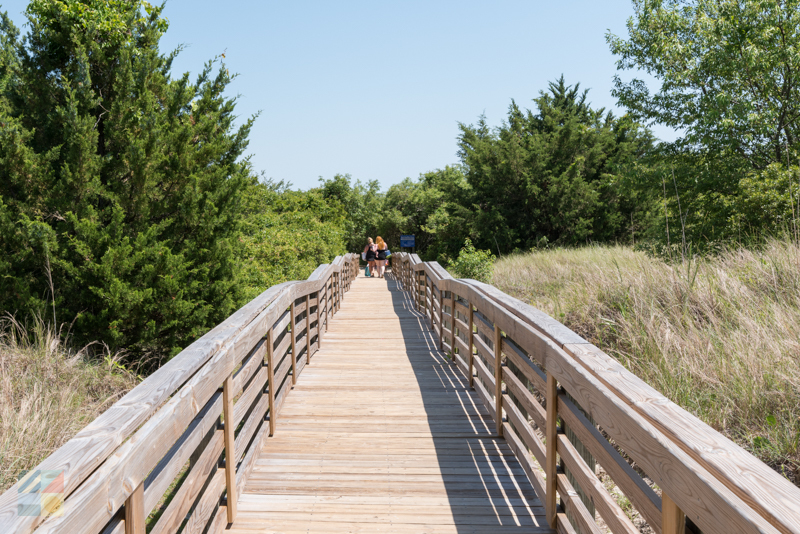 As a result, the Calico Creek Boardwalk is a refreshing destination for anyone who wants to fully explore Morehead City’s wild side, and enjoy some incredible water views along the way. 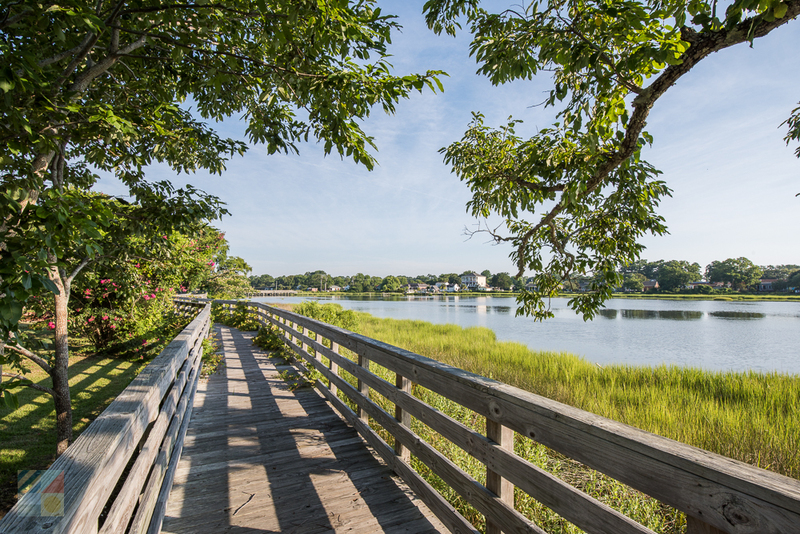 Morehead City is well known for both its historical roots and its modern artful culture, and visitors can explore both of these elements with a self-guided stroll along the Fish Walk as well as the Promise Land Heritage Trail. The “Fish Walk” is a relatively new attraction, and is a public art trail that begins at the waterfront, and which leads to a public art trail throughout the area with touchable fish statues all along the way. (Brochures are available.) Meanwhile, the Promise Land Heritage Trail explorers the history of the downtown waterfront area and the original “Promise Land” neighborhood, while bypassing a number of historic homes, antique shops, boutiques, and art galleries while en route. Both trails are easy to find along the waterfront - and easy to navigate - and present a unique new take on the downtown landscape. Considering that the region is home to dozens of artists, as well as more than 120 buildings that make up the Morehead City Historic District, exploring these unique facets in detail is a must to get a full portrait of what Morehead City is all about. Visitors will want to note that two of Morehead City’s biggest attractions are the ample shopping and dining scenes. From decades-old seafood restaurants and fine dining establishments to dozens of galleries and antique stores, Morehead City is where Crystal Coast visitors of all varieties go for an afternoon or evening of indulgences. One of the best ways to enjoy several top Morehead City attractions, (like the Carteret Community Theatre, the Arts Council of Carteret County, and the Jaycee Park), is to take in a show. From free summer concerts at the local park to special limited exhibits at the Art Council, attending a special event make these attractions all the more enticing. One of the best aspects of Morehead City’s top attractions is that many of them are completely free! While suggested donations may be recommended at some sites, (like the History Museum), visitors can often explore the top Morehead City destinations without spending a dime. A great way to explore some of the region’s favorite natural attractions – like Calico Creek or the Downtown Waterfront – is via a small vessel or kayak. A cruise along the water can present an entirely new perspective of Morehead City, and can provide miles of effortless fun. The sheer variety of attractions within Morehead City will have visitors of all interests fully entertained and eagerly anticipating more. From brilliant waterfront views to glamorous shows and vibrant artworks, Morehead City truly is a colorful community where all coveted aspects of the Crystal Coast culture are on full display. Plan a trip to the heart of town, or plan multiple day trips and excursions while staying along the nearby beaches, and discover all the fantastic ways to have fun in this completely unique coastal vacation destination.